AWSS associates have a rich set of varied experiences that boil down to a focus on assessing the quality of information and knowing what to do with it. This characterization encompasses work that includes consulting on regulatory compliance and due diligence; statistical analyses on health risks; benchmarking, performance measurement, and business process re-engineering for clients in both the private and public sectors. AWSS is committed to personalized attention and client satisfaction. The principals’ experience includes consulting for private corporations, trade associations, and Federal government agencies. Their expertise combines project management, systems examination, and a straightforward approach to problem solving. Working with a small firm allows the client to interact directly with the personnel who are responsible for that assignment. AWSS does not insert a layer of management between the client and the work being performed. Each assignment is important to every member of AWSS’ staff. For large and complex projects AWSS assembles teams whose members are drawn from a network of proven individuals and organizations. In this way special expertise and skills are brought to the work as needed. However, each and every project is directed by an AWSS principal who is involved in all aspects of the work and can answer to the client. Dr. Walters is an experienced Operations Research analyst with training and experience in simulation, mathematical modeling, statistical analysis, and risk assessment. His education includes a bachelor’s degree in mathematics, a master’s in engineering sciences, and an interdisciplinary Ph.D. in computer science, mathematics, and quantitative methods of business. Early on, his experience in simulation and mathematical modeling provided an entry into the underdeveloped field of air quality modeling in the late 1960s and early 1970s. This experience with air quality and environmental oversight led to the assessment and management of environmental liability and risk in all media (air, soil, groundwater, and surface water runoff), the design of compliance strategies for health and environmental regulations, and hazardous waste resolution and defense strategies for the private sector. In addition, his work experience has included teaching and management consulting in systems analysis/operations research, computer systems, policy development, benchmarking, and applications of systems analysis to management considerations. Dr. Walters has assisted clients with due diligence requirements, review of proposed work involving environmental aspects, oversight of ongoing work, and project management. He has assisted several property owners (working with their legal counsel) and banks when it became necessary for them to prepare response and defense strategies because they were named as potentially responsible parties (PRPs) in Superfund actions. Dr. Walters has also performed an oversight function for several private companies that were in the process of individual or joint remedial actions. By taking on the oversight role, he was able to operate as an employee of the company, reporting to the responsible officer within the company regarding progress on a regular basis and supplying the company with the requisite expertise at the scene of the remediation. 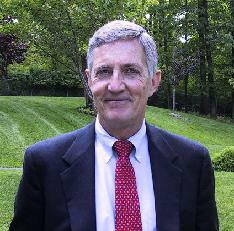 Dr. Walters has worked successfully with the Environmental Protection Agency, trade associations, and resource information and data sources in Washington, D.C. as well as with state projects and sites in Pennsylvania, Maryland, Virginia, New Jersey, New York, Ohio, Illinois, California, New Mexico, Texas, Kentucky, and Louisiana. Most of his 30 years of experience has been with the private sector, but he has worked in government consulting as well (about five years total), and he has satisfied customers within IRS, FDA, Navy, DOD, DOE, and the Interior Department (Endangered Species). Dr. Walters has experience in university teaching at the graduate level for over 9 years, worked with a large trade association for 6 years, operated his own company for 10 years, and worked with other small and large consulting firms for about 7 years. He successfully dealt with issues ranging from regulatory compliance to development of automated models to process redesign for increased cost-effectiveness to policy development and regulatory response. Dr. Walters has successfully managed teams and budgets for numerous companies as required to address the resolution of issues before they became problems. Dr. Walters has no constraints regarding travel. Mr. Walters has a degree in Manufacturing Engineering from Northwestern University. He has training and expertise in process review/analysis/design, information management, business strategy, process re-engineering, and benchmarking. He has experience working in both the private and public sectors and his largest projects to date have dealt with the evaluation of production processes, benchmarking, business strategy development, and business process re-engineering. Mr. Walters has successfully completed complex projects of various sizes and has brought them all in on time and within budget. Mr. Walters has experience in the private sector with Accenture, S&C Electric and Fluid Management, and he worked with a nationally recognized Federal IT consulting firm in metropolitan Washington, D.C. for an additional two years. His experience at the Federal level included projects with the U.S. Internal Revenue Service Customer Service organization, the U.S. Naval Commercial Activity, and the Secretary of the Air Force in Acquisition.